Well, a lot! Truly. 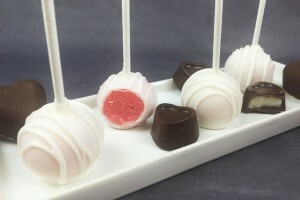 For one, CandiQuik is naturally flavored with all natural ingredients. Dos (as in, # two), Candiquik uses very fine sugar particles – this will come out in the taste and mouth feel. It will not give you that grainy texture - you know what I’m talking about. Candiquik also uses more milk products & more cocoas, which also becomes very apparent in the taste. It tastes good, not like wax or something similar. It also comes packaged in this nice little tray; simply remove the overwrap and melt. Forget cleaning melted chocolate out of a bowl! 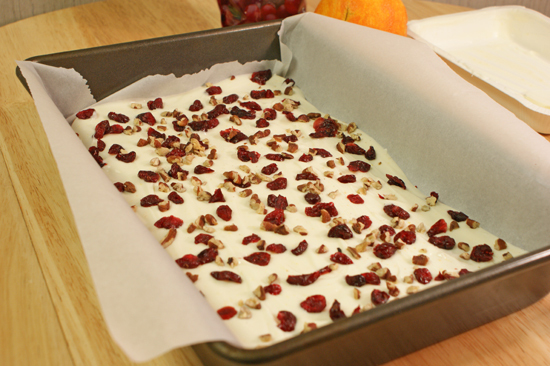 If you like cranberries and orange, you will love this recipe. If you can even call it that. 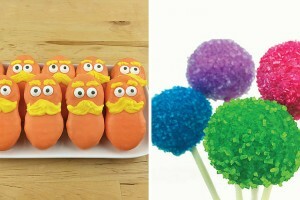 It’s so easy to pull together and can literally be made in 15 minutes… and that’s including prep time! This bark… for real. 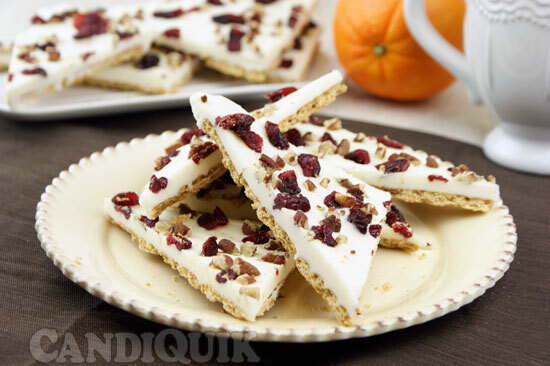 Forget a relish tray, you need a cranberry orange pecan bark tray. Or both. Both is good. Oh yeah, it gets even better. No dishes. Line your 13×9″ pan with parchment (or wax) paper. Arrange graham crackers across the bottom of the pan. Grab an orange. Wash it. Zest it. Melt Vanilla Candiquik in tray, as directed on package. 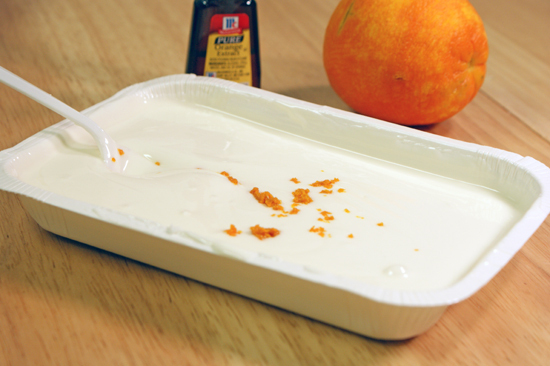 Stir orange zest directly into the tray of Vanilla Candiquik. Add 1/8 to 1/4 teaspoon of pure orange extract. This stuff is potent, so for less of an orange flavor, use 1/8 teaspoon. I like orange, and I was fine with the 1/4 teaspoon. Pour mixture evenly across the top of graham crackers, using the back of your spoon to smooth out. 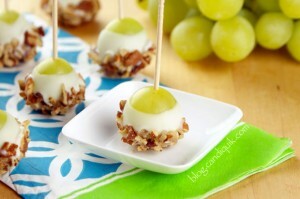 Sprinkle with chopped pecans and dried cranberries. 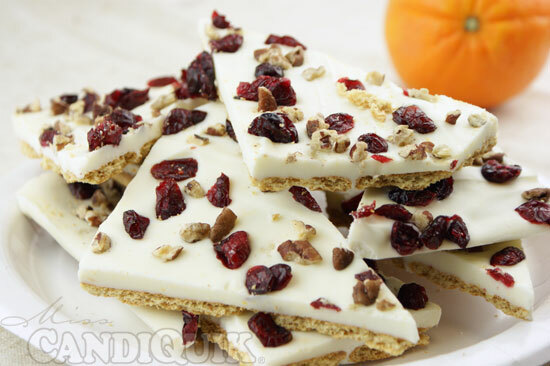 I was inspired by Cookies and Cups Cranberry Orange Bliss Bark! Line a 13×9″ pan with wax paper. Arrange graham crackers across bottom of pan to cover completely. 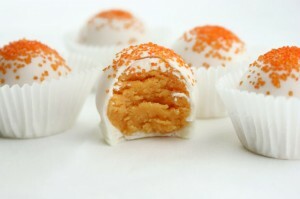 Stir orange zest and extract into melted CANDIQUIK® Coating. 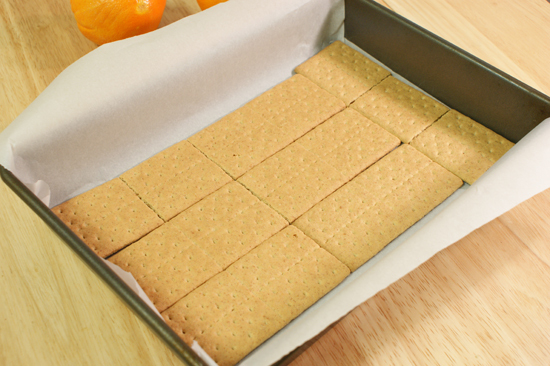 Spread CANDIQUIK® mixture evenly across the top of graham crackers. 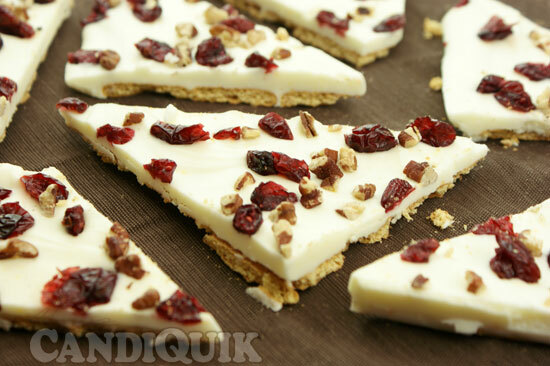 Sprinkle with dried cranberries and chopped pecans. Once completely dry, break or cut into pieces. 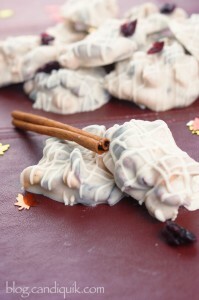 Check out these Cranberry Nut Clusters HERE. 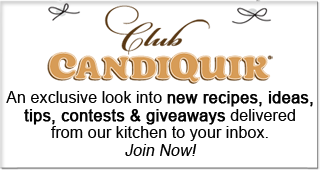 There’s no contest for me–Candiquik wins everytime! It’s the best candy melting chocolate I’ve used.. no wonder we’re such good friends this bark looks fantastic! I love cranberry for the holidays and the orange sounds like a nice refreshing kick! Aww, thanks Hayley – you rock! If we lived in the same state…there would be a lot of sugar highs happening! Yum, yum and yum. Absolutely love it. Sounds divine! 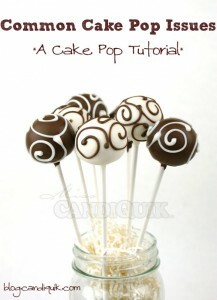 Love making candy to share with friends and co-workers, and this sounds like a great one! 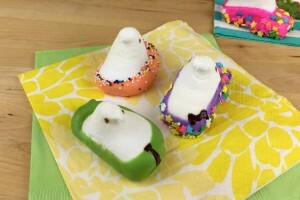 Not too hard and a great neighbor treat! Thanks for sharing!